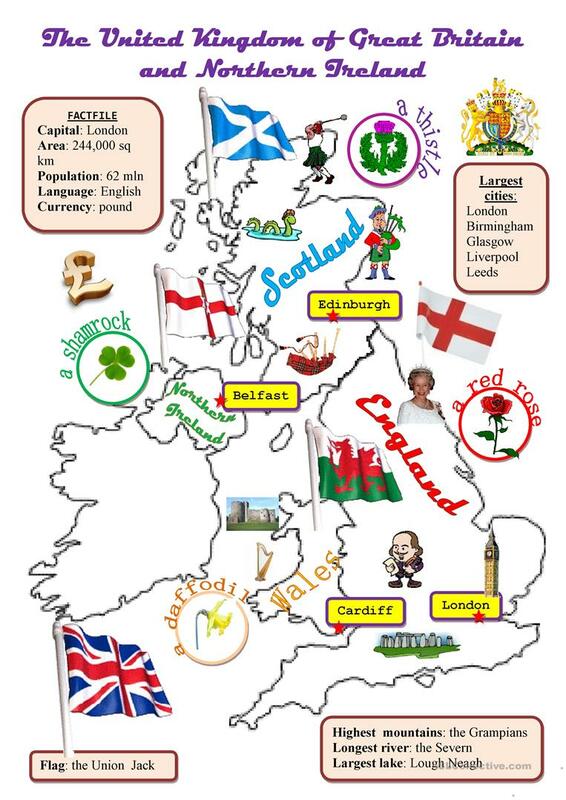 A map of the UK with English, Scottish, Welsh, Irish capitals, flags, symbols and general info about the country. This downloadable worksheet is a great resource for elementary school students at Pre-intermediate (A2) level. It was designed for improving your class' Reading skills. It features the theme of United Kingdom. Leonella is from/lives in Russia and has been a member of iSLCollective since 2011-02-18 04:41:11. Leonella last logged in on 2011-04-21 17:54:18, and has shared 3 resources on iSLCollective so far.